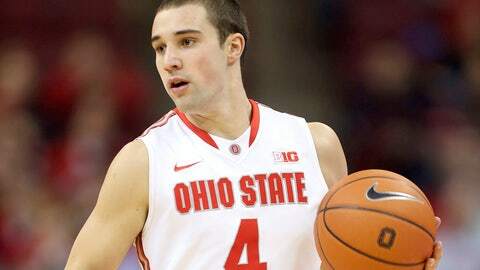 Ohio State guard Aaron Craft brings the ball upcourt against Illinois. COLUMBUS, Ohio — All Lenzelle Smith Jr. wanted was to see his teammates happy for a change. LaQuinton Ross scored 18 points and Smith had 16 — and each added crucial points down the stretch — to help No. 17 Ohio State end a four-game skid with a 62-55 win over Illinois on Thursday night.